Benghazi-gate is spinning out of control and the Obama administration is dying right before our eyes, thanks especially to leaks that are coming fast and furious (no pun intended; oh, and here's a helpful hint for future Democrat Presidents in the mold of Carter and Obama: throw the intel community under the bus at your own peril). Jennifer Griffin of Fox News has exclusively reported that "CIA operators were denied request for help during Benghazi attack." 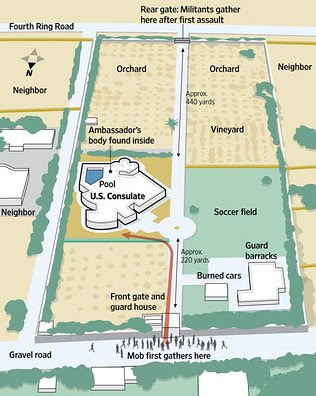 ...Former Navy SEALs Tyrone Woods and Glen Doherty were part of a small team who were at the CIA annex about a mile from the U.S. Consulate where Ambassador Chris Stevens and his team came under attack. When they heard the shots fired, they radioed to inform their higher-ups to tell them what they were hearing and requested permission to go to the consulate and help out. They were told to "stand down," according to sources familiar with the exchange. An hour later, they called again to headquarters and were again told to "stand down." Unbelievably, The Tatler is also reporting that an AC-130U Gunship was on-scene in Benghazi -- and the president refused to unleash it. Obama refused to make an effort to save Ambassador Stevens and the operators who were trying to protect him. In recounting this sordid abdication of leadership (or worse), Glenn Beck stated this afternoon that, "Today, officially, is the day that I no longer recognize my country." And Karin McQuillan asks, "Did Obama watch while they fought for their lives?" Update: Obama refuses to answer when asked directly if security was denied during the Benghazi attack. Meanwhile, the White House Briefing Room has been dark for 16 days and Jay Carney's face was spotted on a milk carton. Comment #2 -- Gen Ham was fired 30 seconds after deciding to intervene in Benghazi: I heard a story today from someone inside the military that I trust entirely. The story was in reference to General Ham that Panetta referenced in the quote below. The information I heard today was that General Ham as head of Africom received the same e-mails the White House received requesting help/support as the attack was taking place. General Ham immediately had a rapid response unit ready and communicated to the Pentagon that he had a unit ready. The story continues that now General Rodiguez would take General Ham’s place as the head of Africon. I found this story when I got home after hearing this story. As I was typing this I heard John Bolton on Greta say that there are conflicting reports of General Ham’s comments on this tragedy and why a rapid response unit was not deployed. Bolton says someone needs to find out what Ham was saying on 9/11/12. President Reagan planned and executed the successful INVASION OF GRENADA in 6 hours. Morsi's son/son-in-law/nephew was in charge of "security" for the Ambassador. Obama meant to kidnapp the Ambassador and trade him to Morsi for the Blind Sheik. The Seals ruined his party. We have a traitor in the WH. Impeach and imprision - and not in an Hawaiian Mansion - in Leavenworth. 1. Time line unfolded over at least seven hours, over several locations with both sides exchanging fire. 2. Opposing forces appear to have been Muslim and well-armed. 3. State and the Ambassador to the UN specifically stated this attack was related to a u-tube video. 4. Messages were sent to the National Command Authority almost immediately. 6. CIA employees came to that aid of the State people under attack, two were killed. They were NOT part of the embassy protection detail. 7. Attack occurred on Sep 11. 2. 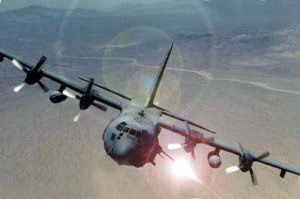 There might have been an AC-130 airborne over the fighting but it didn't fire. This one is based almost solely on speculation that one of the defenders was lasing a mortar position during the fight. 3. There has speculation that there were armed drones involved. Reports seem to indicate that there were drones, that they were armed isn't clear. 4. There is speculation that there were forces at Sigonella in Sicily that could have helped. If they were not on some time of ready alert, the command and control system would be hard pressed to plan a mission, task the unit, get the resources (bombs, fuel, aircrew, mission plans, targeting, ROE etc.) This speculation completely supports SECDEFs call that people are second guessing. The question here is not that forces were in the Med - they are and they could help. But only if that mission had been assigned prior to this attack could one rationally believe they were available, even over the seven hour battle. Yes, there is a chance that they could have been inserted into the fight near the end of the battle, but with almost no chance of helping and great chance of worsening the situation with faulty targeting or error from poorly prepared operators. If Congress wants to know what happened? First step is to bring in Gen Ham and ask him under oath. This occurred in his AOR (Area of Responsibility). This appears to be a failure of a foreign policy based on, "Why can't we all just get along?" rather than a "Trust, but verify" approach. Of course the cover up with all the propaganda being passed out by our elected leadership, including the President is beyond mere contempt. Oh, by the way, where is the National Security Advisor in all of this? This is his legal responsibility yet we never hear nor see him about. After repeated demands of 'stand down', Gen Ham decided to ignore and assist to save these men's lives; 30 sec later - his 2nd in command - Gen Rodiguez - arrested Gen Ham, and relieved him of his command. Panetta and obama are promoting Gen Rodigues as next commander for AFRICOM. Would love to hear what Gen Ham would say, if he could; sure he isgag-ordered; may he resign in protest. Excellent work.....i would think someone would do serious checking on this! God bless! These comments, and all of the speculation going on, strike me as reaching for evidence of some kind of conspiracy that just, logically, doesn't exist. Ask yourself what benefit there would be for anyone, at the White House or elsewhere, to not take every rational, reasonable, step to help the people in our Bengazi embassy. It's not at all clear that even if there had been 50 troops at the embassy that it would have made any difference. Everyone should just lighten up with respect to these sorts of situations until all of the FACTS are in.